With no English football on this Monday that means we can concentrate on the Houston Texans' game in New York against the hapless Jets, the Jets are struggling badly & things don't get too much tougher than running up against the Super Bowl favourites. New York have their best defensive & offensive players out injured with dominant cornerback Darrelle Revis out meaning it's much easier to pass against them & their star receiver Santonio Holmes out meaning it becomes even harder than usual for them to pass themselves. 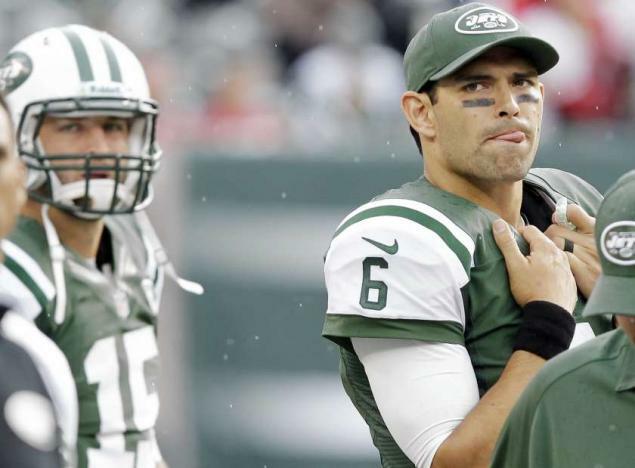 We've always felt that Mark Sanchez is lucky to be a NFL starter & the Jets' quarterback is really struggling at the moment & coming up against the top ranked defense in yards & pointss given up isn't going to make things any easier & the inevitable calls for Tim Tebow to replace him continue to grow louder. Even their young up & coming receiver Stephen Hill is a doubt for this game & it's hard to see how they can hurt Houston. The Jets' traditional strength over the last few years has been their defense but even that isn't doing the job this year & their big problem here is that they don't appear to be able to stop the run in particular ranking 31st in yards given up - that spells huge trouble against the Texans. Houston have maybe the most talented running back in the league in Arian Foster & he's backed up by Ben Tate who would be a feature running back for most other teams, the two of them should have a lot of fun in this one & could end up with multiple touchdowns between them. At quarterback for the Texans Matt Schaub has been efficiency personified with 7 touchdowns to just one interception & a highly respectable pass completion rate of 67%, with Schaub getting fitter & fitter with every game after a big injury they are potentially a scary offensive unit. The Jets got blown away by the visiting 49ers last week losing 34-0 & the Texans are better than San Francisco offensively so they should easily cover the -8 point handicap. We can see this being a big win for Houston & in addition to backing them to cover the 8 points we advise backing a Texans' winning margin of 19-24 points at 15/2 & 25-30 points at 12/1 at Betfred.